All Things Grown In Trust. Canadian Owned and Operated. Thomas Fresh is Western Canada’s premium grower, packer and shipper supplying high-quality Asian, organic and conventional produce from established farms. You can rely on Thomas Fresh for the best nature has to offer with our Grown in Trust™ integral promise. When you see our Grown in Trust logo, you can be assured that we have taken extra steps to ensure the product has met our quality, safety and sustainability standards that are of the highest tier. Our doors at Thomas Fresh opened in 1998 in Calgary, Alberta and sought to fill a niche in supplying superior produce – a distinction from run of the mill products that the market only seemed to offer. We started out as a local potato packer, where we innovated original types of packaging in Canada. We expanded into the onion market, and now we offer hundreds of products sourced both locally and internationally. We take pride in the strong relationships we maintain with our growers, and it’s paramount that all of our products are grown with sustainability in mind. We operate conventional and organic certified packing facilities in Calgary, Saskatoon and Vancouver which deliver fresh produce to wholesalers and retailers throughout Western Canada and beyond. 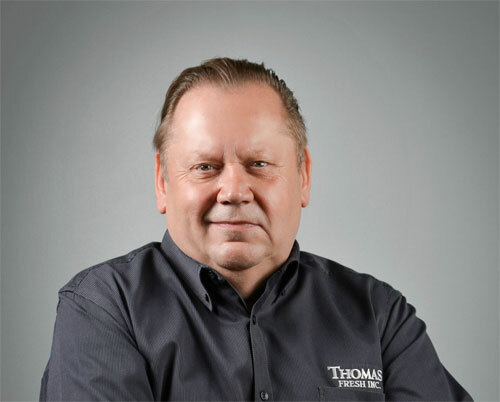 Thomas Fresh’s steadfast belief in high quality products, standards of excellence and service to our customers are the foundation of our business. When you purchase a Thomas Fresh product, you’re buying produce that is Grown in Trust. We’re committed to providing the highest level of quality and integrity in our products and take pride in doing so.